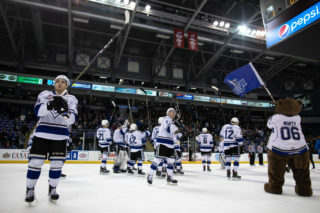 Victoria triumphs over Tri-City 5-2; scores three goals in opening frame. 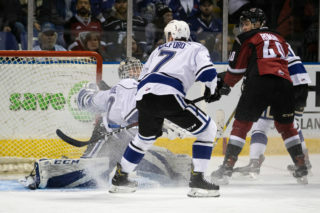 Victoria, BC ­– The Victoria Royals took the early lead with three goals in the first period and never looked back, as they dropped the Tri-City Americans 5-2 at the Save-On-Foods Memorial Centre on Friday night. Royals – Igor Martynov 1g-1a, Ralph Jarratt 1g-1a, Tarun Fizer 1g-1a, Kaid Oliver 0g-2a, Logan Doust 1g-0a (Game Winner), D-Jay Jerome 1g-0a, Dino Kambeitz 0g-1a, Kody McDonald 0g-1a. Tri-City – Krystof Hrabik 1g-0a, Kyle Olson 1g-0a, Aaron Hyman 0g-1a, Riley Sawchuk 0g-1a. Royals – Griffen Outhouse (W) – 60:00 mins, 24 saves on 26 shots. 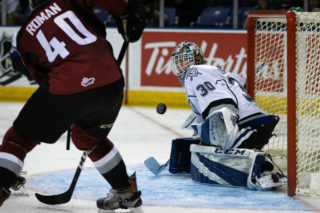 Tri-City – Beck Warm (L) – 59:50 mins, 25 saves on 29 shots. Home Cooking: With their victory tonight, the Royals move to 5-0-0-0 in their first home game of a month this season. In those contests, Victoria has outscored their opponent by a margin of 25-17. February: Tonight’s game was the Royals’ first contest in February. This month, Victoria will play 14 games, which includes eight on home ice. 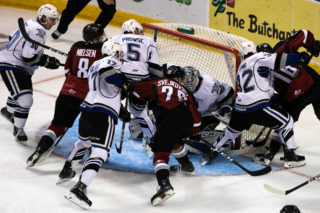 Royals vs. Americans: Tonight, the Royals and the Tri-City Americans met for the first time this season. 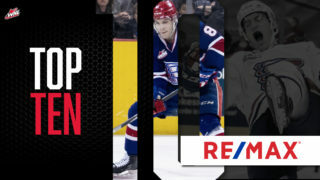 With the win, Victoria now holds a record of 5-1-2-0 in their first contest against the Americans in a season since relocating from Chilliwack in 2011. Streaking: Currently, Victoria Royals’ forwards Igor Martynov and Kody McDonald are riding three-game point streaks. Over this span, Martynov has tallied six points (3g-3a), while McDonald has collected three assists. A Royal Return: Victoria defenceman Jake Kustra made his return to the line-up tonight. Kustra had been sidelined since Wednesday, January 10th. Up Next: Victoria continues their four-game homestand with another contest against the Tri-City Americans tomorrow night at 7:05 p.m. After that, the Royals will begin a two-game weekday series with the Seattle Thunderbirds on Tuesday, February 5th and Wednesday, February 6th. 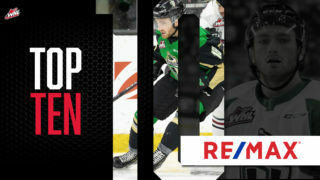 Tickets can be purchased in person at the Select Your Tickets box office, over the phone by calling 250-220-7777, or online at www.selectyourtickets.com.